Whats your flavour? 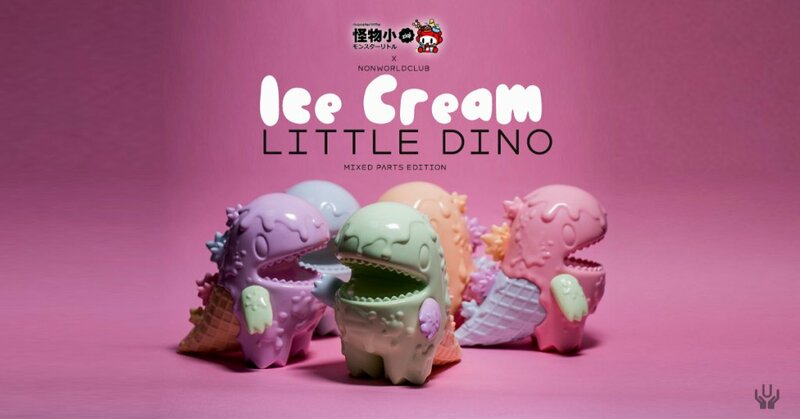 Mixing it up this weekend will be the MIXED PARTS LITTLE DINO By Ziqi Monster Little x Unbox Industries ice cream soft vinyl aka soft scoop! HA. We know you guys have been hunting far and wide for an Ice Cream Little Dino especially online release without the crazy aftermarket price. Ziqi Monster Little x Unbox Industries has cured your craving for a while as they announced the online release of these unique Ice Cream LITTLE DINO Mixed Parts Edition. Ever tried DINO flavour? Each version of Little Dino is created using unpainted vinyl parts for truly random interpretations. Please note that your figure may differ from the versions shown in the product images. Standing 10cm tall and produced in soft vinyl, Little Dino is ready to ship today.